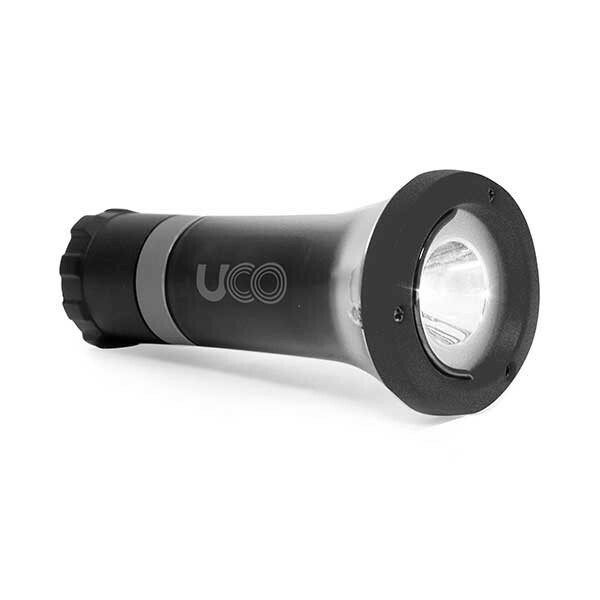 The compact Uco Clarus Led Lantern has a frosted globe that provides a non-glaring light that's easy to read by, is useful for working around camp, and includes an emergency strobe. The collapsible lantern switches easily to flashlight mode and is easy to transport. 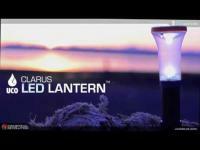 Clarus Lantern has a small size but it provides up to 118 lumens of diffused white light in lantern mode. And as the need arises, the on/off button switches from bright to mid to dim-levels of light or a strobe for emergency situations. Perfect for auto, home, and boat emergency preparedness kits, RVs, and in your backpack. 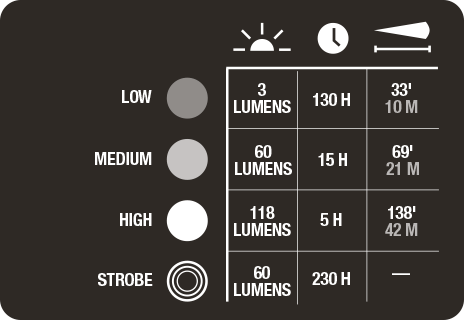 Dimming Switch: controls lighting from hight to medium to low to strobe.